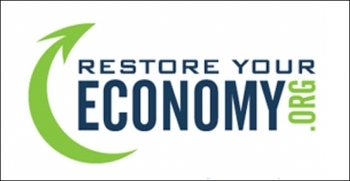 To coincide with National Preparedness Month, the International Economic Development Council (IEDC) has just launched the newly redesignedRestoreYourEconomy.org website. Developed with funding from the U.S. Economic Development Administration (EDA), the website is a one-stop resource for economic development organizations and chambers of commerce seeking to assist businesses after a disaster, rebuild their local economy, and encourage resiliency among local businesses and government. 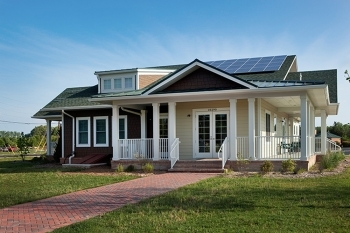 An impressive new training facility opened this spring at Delaware Technical and Community College’s campus in Georgetown and is expected to retrain former auto workers for new jobs in the emerging green sector.Energy House, designed to resemble an actual residence, serves as an educational lab where these workers can get a new start by learning about innovative energy-efficient technologies and renewable materials. Programs will fill a pressing need to train workers and will help strengthen the economic competitiveness of the Delaware region. Providing office space and support for budding entrepreneurs to develop and grow their businesses while boosting the synergies offered by their developing ideas, skills, and products is a critical economic development strategy. This is exactly what I saw today in Philadelphia, when I attended the opening of the new Dorrance H. Hamilton Center for Culinary Enterprises (CCE), an innovative facility that will provide shared business space for food entrepreneurs from throughout the Philadelphia region. This center was developed by Philadelphia’s The Enterprise Center, a business accelerator that since 1989 has supported local entrepreneurs and spurred economic growth in Philadelphia, and the Economic Development Administration (EDA), which in 2010 provided $1.5 million to support the construction of the CCE. Last spring, I visited one of the premier technology parks in the southwest, theSandia Science and Technology Park (SSTP) in Albuquerque, New Mexico. Over the past five years, the Economic Development Administration (EDA) has invested $1.8 million in this industrial park, funding infrastructure improvements such as new, high-speed fiber optic lines that help the businesses located there leverage advances in technology that have been generated by nearby universities and federal labs. With the recent release of a report by the Mid-Region Council of Governments, we have learned what a smart investment that turned out to be. According to the authors, the $1.8 billion in economic activity generated by Sandia since it was established in 1998 has brought more than $73 million in tax revenue for the state of New Mexico and $10.4 million for the city of Albuquerque.